The Hannah Barberas, a UK-based band, have released their sweet cover of The Fall’s “Look Know.” While the cover is very faithful to the original, Barberas’s personality shines through. 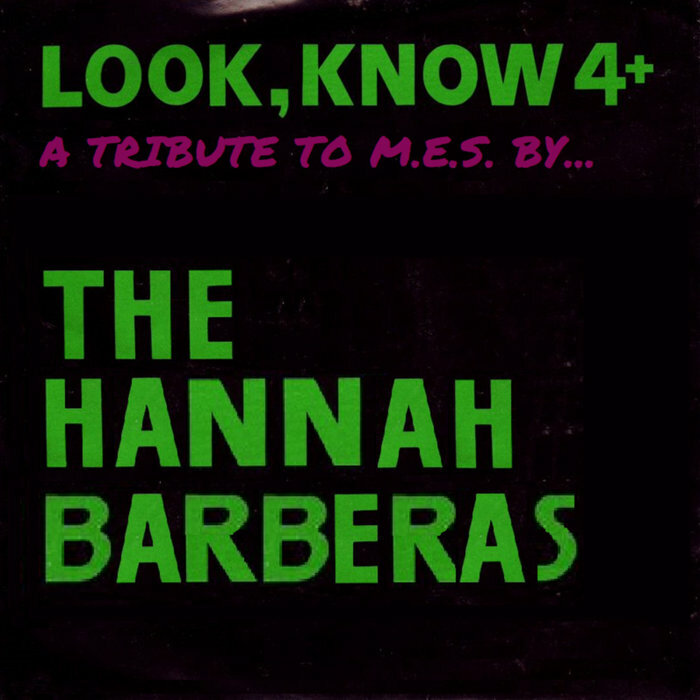 The recording itself is so well done it feels like The Hannah Barberas have clown-car’d their band inside your head. It’s also a home recording, which is nuts. The bass tone is so present and clean it will make your face scrunch up. The stripped down and simple instrumental swaggers and winks, nailing that wild change up of the original. Barberas are on top of their game. All streams of this track go to the Macmillan Cancer Support Fund. So stream this until your speakers burn! Sign up, make my mom proud.